We’ll come to you anywhere in Auckland, catering for all makes and models of vehicles, including transponder keys in late model vehicles. 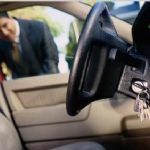 Because we create transponder keys from our mobile locksmith vans, Auckland Mobile Locksmiths can replace it much faster and perhaps more cost effectively than your car dealer. Of course we create keys for older cars as well. No matter what the vehicle – car, truck, motorcycle, boat – or circumstance, we’ve got the tools and technology to get you back on the road. We also work closely with many insurance agencies, ensuring a hassle free transaction. Lost your keys – or had them stolen? Get in touch with the team today to get back on the road.